KOG Games is now teasing a new update for Elsword, planned to hit July 30. In one week, players can look forward to some changes for Rena meant to transform her into a more powerful character. Rena will see increases in speed, resilience, and attack power (up to three times her current!) with Nature’s Force. 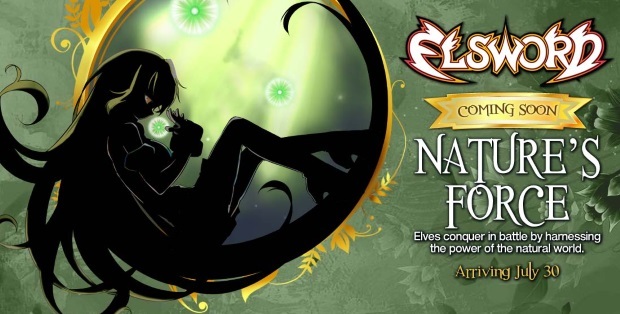 To celebrate, Elsword will be hosting two special events during the next week up until the update’s release. More information can be found here. Marvel Battle Lines has received its first major update today, which raises the max player level and adds 45 new cards. The latest Population Zero blog goes over an important facet of the game, how the tech and science trees work. En Masse Entertainment announces the Wounded World update for TERA:Rising, introducing new dungeons and more.